There is little public information in either English or Czech about Sv?tozor (this thesis is the only monograph on Sv?tozor I could find and it is not online). According to the Wikipedia English entry, Sv?tozor was a weekly magazine from 1867 to 1933 focused on literature and the arts. 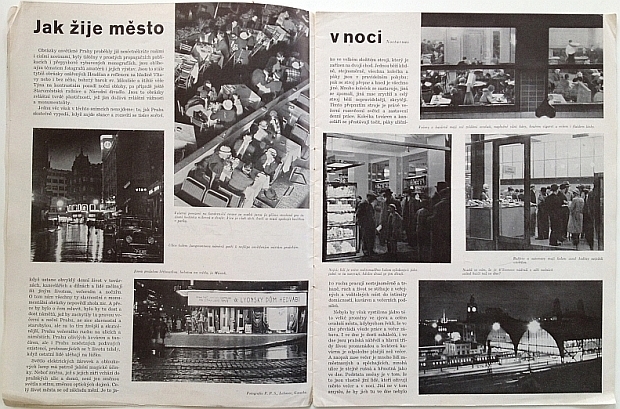 The major change came when Pavel Altschul, described as a “leftist journalist and photographer,” bought the magazine in 1933. Sv?tozor, under “Altschul’s was transformed from a fun family sheet to a weekly devoted to social reportage of the Great Depression , reports the onset of Nazism in Germany as well as the Moscow Stalinist processes. It also focused on the promotion of avant-garde art movements” (my translation). 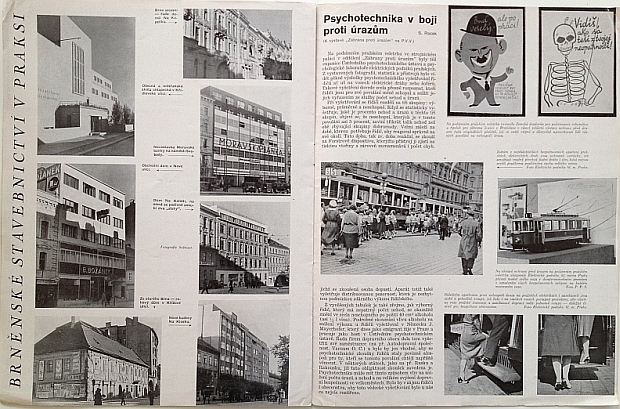 Altschul published Sv?tozor until the Nazis closed or “arianized” it in 1939 after the Germans occupied the rest of Czechoslovakia on 15 March 1939. 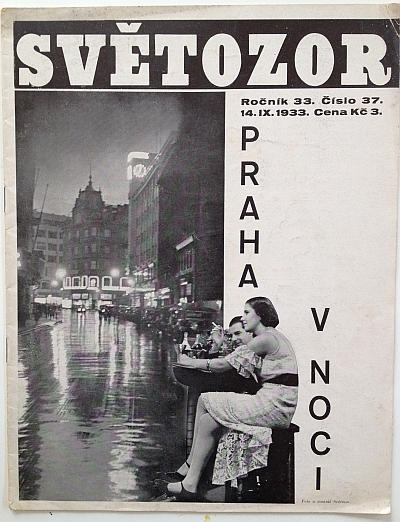 I focus on Sv?tozor because under Altschul’s ownership, the magazine employed a modern design that was at the forefront of magazine design for those times. 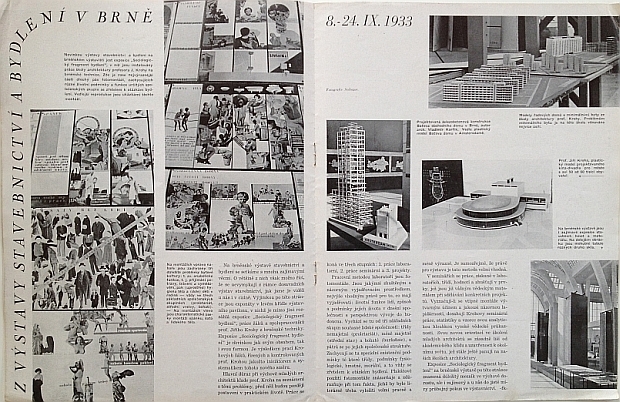 The style was photography-centered much like the other photo-oriented magazines of the time like LIFE, Vu, Berliner Illustrite Zeitung, etc (see this article by Steven Heller for more), but Sv?tozor went further, employing a start black and white layout with lots of white space, modern fonts, and using photomontage. For us today this might not look so modern but for the time period, this was downright radical if not revolutionary indeed. Keep that in mind while viewing these images. Altschul himself, however, was not lucky after the German takeover: he was murdered at Theresienstadt / Terezín on 18 August 1944.